To enrol your child at one of our primary, central or secondary schools the first thing to do is simply contact your local Catholic School and request an enrolment package. Each school requires applicants to fill out an enrolment form and will request that specific documentation (such as birth certificate) to accompany the enrolment application form. Parents are interviewed by the Principal (or Assistant Principal in some instances) before the enrolment is finalised. While you can apply to enrol your child in a Catholic school at any time of the school year (pending places available) there is a formal enrolment period which runs from around March to the end of June each year. Catholic Schools Week which is a statewide celebration of Catholic education also takes place during the formal enrolment period. During Catholic Schools Week parents and their children are invited to come to the school’s open day and enrol. Children who turn five years old on or before July 31 are eligible for enrolment into Kindergarten for that year. There is strong demand for places in many of our Catholic schools. Where there is competition for places, Children from Catholic families are offered priority. 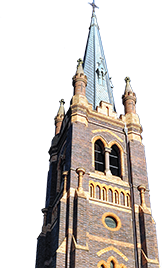 The order of priority is set out in the the Enrolment Policy for Armidale Diocesan Catholic Schools. To find out more download our Enrolment Policy below.